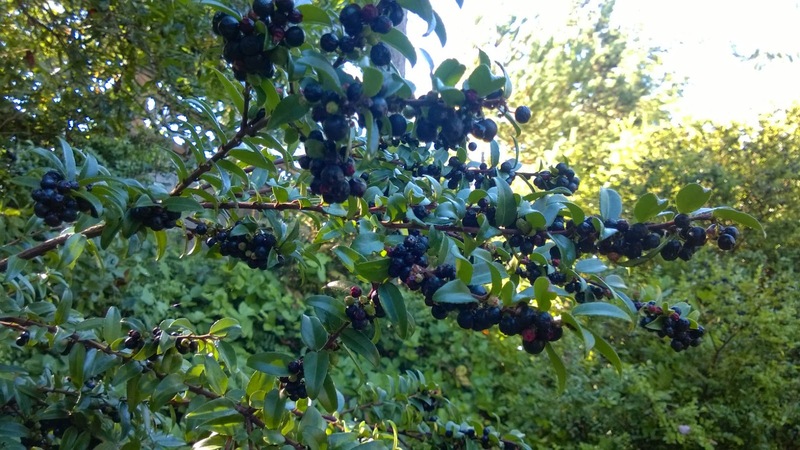 Huckleberries are ripe right now in the lowlands of Oregon and Washington and at mid-alpine locations in the Cascade mountains. They're probably ripe in other locations as well. My parents and my "substitute grandpa" Harry Rasmussen taught me what I know. Harry was a great old friend and neighbor during my childhood. First, a pail. Strip berries off the branch by rolling them between your thumb and forefinger. Don't worry about details, such as ripe/unripe and the occasional leaf that will come off with the berries. In the photos you can see green berries scattered among the ripe berries. You'll separate the green berries in Step 2. During the gathering phase, concentrate on speed. Okay, do you have a pail full yet? Then go on to step 2: washing and cleaning. What you will need: water in the kitchen sink, or use a plastic tub in the sink. Pour the berries into the water, one cupful at a time. Skim off the leaves, unripe berries, damaged (dented) berries, and twigs. Most of these will float to the surface. Take your time. This step can be tedious. Discard the garbage you skim. Finally, you can keep the good berries. Dry them on a cloth and then refrigerate them until ready to use. Now give the berries to a good home baker and wait for your reward(s)! Harry taught me these tricks over fifty years ago. They still work today. Be aware that birds and some animals eat wild huckleberries. Pick what you need and leave some for other animals. ALERT! If you pick mountain huckleberries you might be competing with a black bear. Do not try to chase a bear away. Give it plenty of room. Always be respectful of private property. 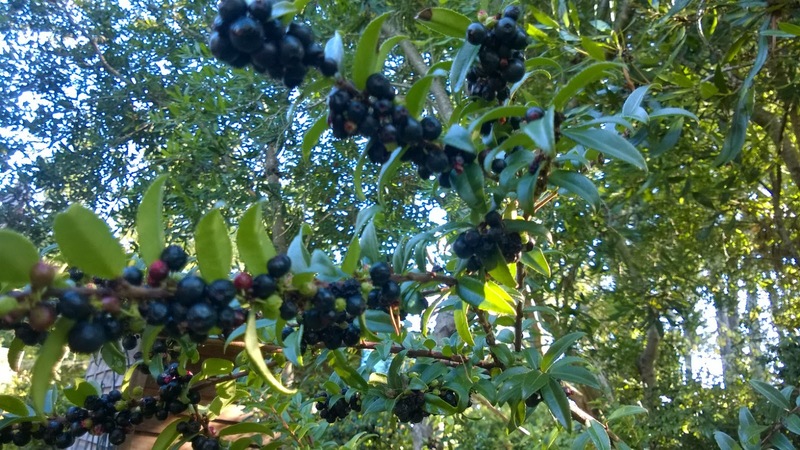 Questions for you: what variety of huckleberry do you gather, if any? How about red huckleberries? Other types? Where do you find them? How do you use them? Feel free to share in a comment. Like the page and/or forward it using buttons below.